Born on the 24th of April 1972, God Nisanov is a Russian billionaire and an enterprising and ambitious real estate tycoon. According to Forbes, God is the 381st richest billionaire in the world and the 24th richest man in Russia. His estimated net worth is US$ 4.8 billion. God’s major source of wealth comes from the real estate industry and he is a self-made billionaire. Not too much is known about God’s childhood years. However we do know that he was born in Quba, Azerbaijan. Besides this, God has completed his education from the College of Finance and Credit and even has a diploma from the Baku Institute of Law. After the completion of his education, God found himself intrigued by the real estate industry. 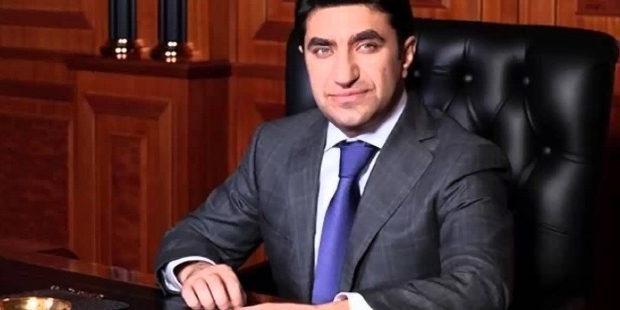 He partnered up with fellow Azerbaijani Zarakh Iliev and the team started making real estate investments. God and his partner commenced their real estate business by constructing buildings close by to the major Metro stations in Moscow. Over a period of time, all of these constructed buildings were converted into shopping centers. Gradually the pair started building hotels as well. These hotels were built predominantly in Moscow, but the team has also constructed a few hotels in other parts of Russia. God serves on the Board of Directors of a restaurant ownership company and also for Ooo Biskvit. Besides his business ventures, God is heavily involved in philanthropy as well. God is an honorary member of the board of director of a non-profit organization called International Fund for Cooperation and Partnership of the Black Sea and the Caspian Sea (BSCSIF). In the year 2013, God has also played the role of trustee of the The Israeli Presidential Conference. After completing his education and acquiring a diploma in law, God found himself interested in the real estate industry. God alongside his partner began constructing buildings near Metro Stations in Moscow. The first few buildings God ever had constructed were converted into shopping malls. Over a period of time God began constructing hotels in Moscow and other parts of Russia too. God co-owns the famous Radisson SAS Slavyanskaya Hotel as well as the Radisson Royal Hotel in Moscow. God’s minority business partner is a gentleman by the name of Ilkham Ragimov. Ilkham Ragimov was in school with the famous Vladimir Putin. Not too much is divulged about God’s personal life. However we do know that he is 43 years of age and is married. He has a total of 3 children from his marriage. God was born in Quba and he currently resides in Moscow Russia. God holds a Russian citizenship. God was born on the 24th of April, 1972. God has won no awards.